Join Fulton Engineering at the ASU Homecoming Block Party, Saturday, October 27, 9 a.m.-noon, at the northwest corner of Palm Walk and Tyler Mall for the Homecoming Block Party. RSVP for free Waldo’s Barbecue (vegetarian option available) at the Fulton Engineering site. Everyone is welcome to visit the tent, but food is reserved for registered guests. The Engineering Alumni Chapter will be selling beer; proceeds benefit the Engineering Alumni Chapter’s scholarship fund. Faculty and staff should register online by Wednesday, October 24, 5 p.m. The ASU Sun Devils take on the UCLA Bruins starting at noon. The Homecoming Block Party starts at 9 a.m.
Fulton Engineering is also proud to be celebrating one of our own, Dr. S. Harry Robertson, who graduated with a B.S. 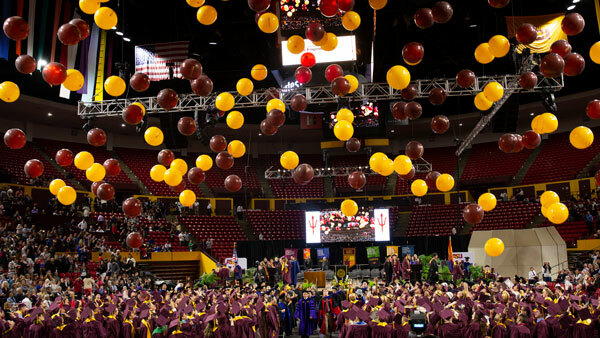 from ASU in 1956 with a specialization in business administration and mechanical technology. He will be the recipient of the Alumni Service Award presented at half-time during the game. This is an event for the whole family. The student center will be open for tours and full of engineering demos. Our schools and student organizations will be showcasing fun, interactive displays from solar ovens to racecars. 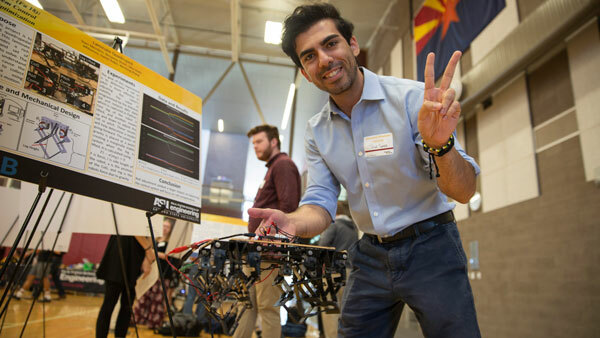 You’ll also get a sneak peek at the upcoming Engineering Open House.